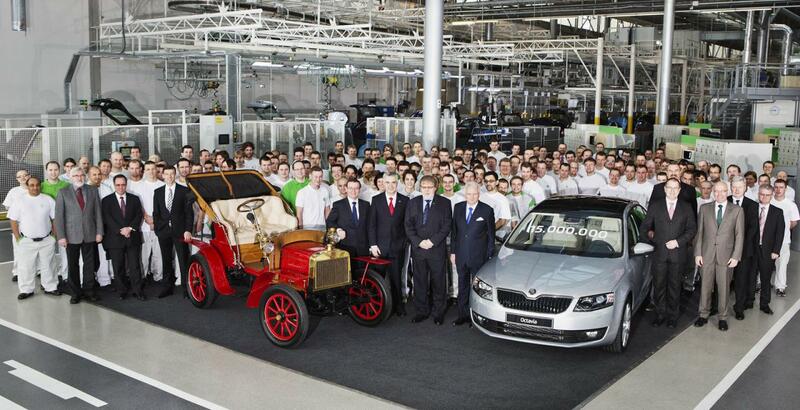 The Czech folks at Skoda officially announced that they just reached a very important landmark. To be more precise, they’ve built the 15-millionth car in the company’s history. Skoda started building cars in 1905 but their adventure began in 1895 when they started manufacturing the first vehicles. As expected, the unit with number “15.000.000” is an Octavia, namely the new generation of the Czech sedan. By 2018, Skoda plans to increase their sales to 1,5 million units per year, no less than eight new models following to enter the market this year. According to the company, the celebrating model will be used at their technology center in Cesana and will be called the VIP sedan. “Producing 15 million cars is a symbol for the great development of the ŠKODA brand,” said Prof. Dr. h.c. Winfried Vahland. Range Rover Evoque or Milner LRM-1?